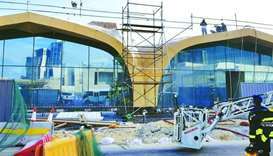 A minor fire incident was reported at entrance No 5 of Doha Metro's Al Sadd station and it was completely controlled, Qatar Rail said in a tweet on Tuesday afternoon. The company was fined and closed for three weeks in line with Article 7 of Law No 8 of 2008. Atletico Madrid captain Gabi Fernandez has signed a contract with top Qatar football club Al Sadd, it was reported Monday. The World Cup champion and four-times Champions League winner said he feels fit enough to continue playing a little longer. Al Duhail are the new Qatar Cup champions. In an electrifying final Friday night, they defeated defending champions Al Sadd 2-1 to complete a double having already won the QNB Stars League with an unbeaten record. Football legend Xavi Hernandez has been named as the first global ambassador for the Supreme Committee for Delivery& Legacy (SC) – the organisation responsible for delivering the infrastructure required for the 2022 FIFA World Cup. 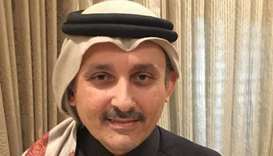 Dr Khalid Alyafei, emergency physician and programme director, Paediatric Emergency Medicine Fellowship Programme, HMC. clarified that 70% are non-urgent cases who are sent back after providing necessary care. The Emir Cup in itself is the most prestigious tournament in Qatar. Teams are eager to lay their hands on the exquisite trophy and end the domestic season on a high. 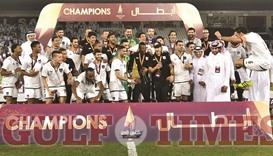 Al Sadd cracked their Qatar Cup hoodoo yesterday, winning the tournament for the first-ever time with a 2-1 win over plucky El Jaish at the Al Sadd Stadium last evening. 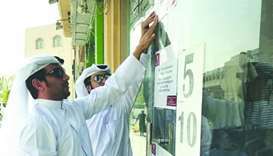 Residents of Al Sadd and its immediate neighbourhood have called for better direct public transport access to and from different parts of Doha. 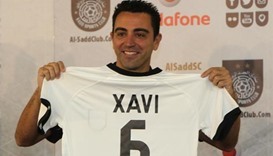 Barcelona great Xavi Hernandez has agreed a year's extension to his contract with Qatar's Al Sadd, according to a statement posted on the club's website on Thursday. 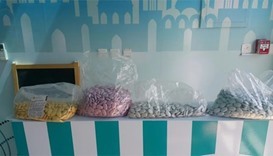 Inspectors of the Health Control Section at Doha Municipality spotted on Sunday a supermarket in the Najma area displaying expired food products.